Belgium has always been the gold standard for sour ales, fruited sour ales, spontaneously fermented ales and Lambics. For many years, it has been thought that Belgium makes far superior sour ales than the United States. In the last 10-15 years, the United States has rapidly improved the quality of their sour beers and it’s my opinion that the quality of the traditionally made sour ales produced in the United States have narrowed the lead, if not taken the lead, as the best in the world. I’d like to provide you with a guide to the best sour ale makers that are coming out of my home state of California. Like always, if I missed someone very important, please feel free to ding me in the comment section below. Beachwood Blendery – Beachwood Brewing has been the gold standard for clean, American style beers here in California for many years now. A few years ago, they decided to launch Beachwood Blendery to tackle Belgian Lambic inspired beers. Right out of the gate, Beachwood paid homage to their idols at Brasserie Cantillon and vowed to experiment with climate control, terroir and other classic techniques used in Belgium in order to make the very best possible beers they could. So far, it’s paid off, as they have racked up numerous awards in their short three year lifespan. 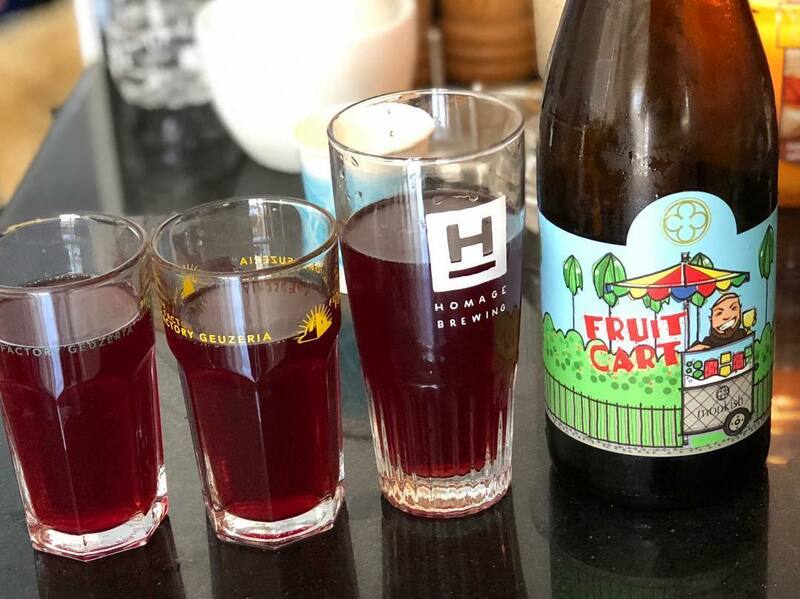 Casa Agria Sour Ales – While they still seem very new to me, the nearly four-year-old Casa Agria has filled that void between Southern California and the Central Coast for fun and top-notch sour ales. Casa is best known for a variety of refreshing mixed fermentation saisons and wild ales, using various fruits in many of their brands. You’d be hard pressed to go to a bottle share in California that doesn’t have a few CASA bottles floating around. They, like many of their peers, have a membership club where you can sign up for a dozen or so bottles and perks. My favorite from CASA? Guava Fresca. Cellador Ales – There is an underground pedigree of exceptional sour homebrewers here in Southern California. Bob from Highland Park, Bill from Wild Barrel Brewing, Jeremiah from Homage and on and on. Kevin Osbourne, co-owner of Cellador Ales is in that club. Kevin has been brewing, aging, treating and blending commercially for a little over two years, but you wouldn’t know that by the complexity of anything you try from Cellador. After some challenges from their home city in the Los Angeles valley, they have finally opened their tasting room very recently. My favorite Cellador beer? Fleur de Masumoto, which happens to be a collab with Homage Brewing. 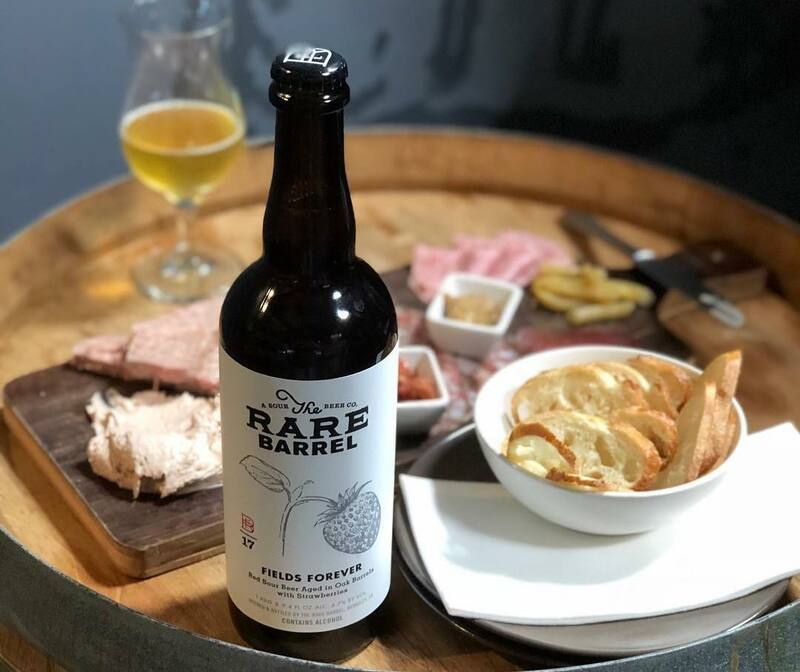 Firestone Walker Barrelworks – A few years ago, Firestone Walker sent “Sour” Jim Crooks packing so that he could start a sour and wild ale program without contaminating their clean beer in Paso Robles. The rest, as they say, is history, as Jim and his team have been creating some very fantastic sour ales. The best way I can describe the beers coming out of Barrelworks is very wine forward. Similar to Russian River sour ales, most Barrelworks beers I have tried have been very wine barrel forward, full of tannins and oak character. The beers have always been generously priced, easy to obtain and have never been a letdown. If you are headed from the Central Coast to L.A. or vice versa, Barrelworks is a nice stop in between. 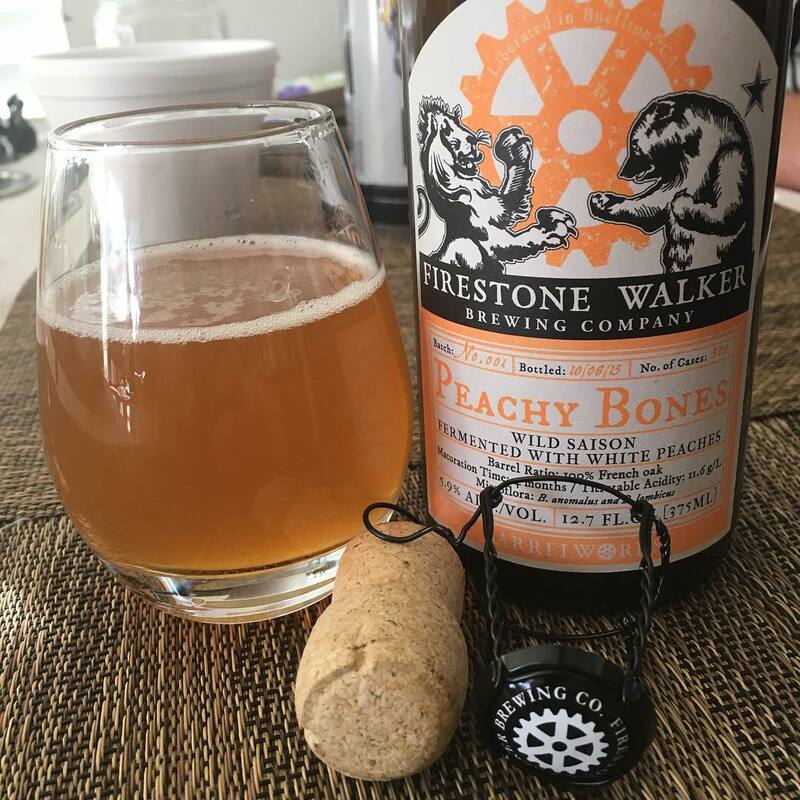 My personal favorites have been Peachy Bones and Krieky Bones, however all of them are pretty fantastic. 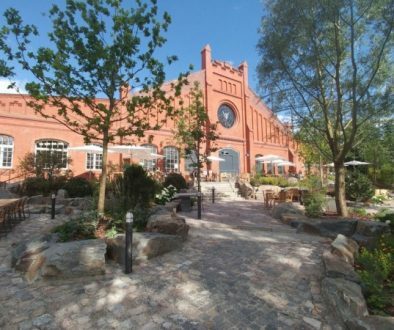 Highland Park Brewery – One of the best examples of making the best of almost no space would be Highland Park Brewery. Owner / Brewmaster Bob Kunz launched HPB in the back of The Hermosillo with a few tanks and a few oak barrels. Some of these oak barrels are residing in the parking lot. There is a storied history surrounding The Hermosillo that can be saved for another day, but just think about some of the most magical sour beers and mixed fermentation saisons being brewed out of a kitchen and a parking lot. Highland Park kills it with saisons, fruited sour ales and spontaneously fermented, unfruited sours. You can try them on tap at their new destination brewery in Chinatown in Los Angeles, and if you are lucky, you can join their “Bottle Friends” membership club. My favorite from HPB? Raised Eyebrows, a Guava and Passionfruit Blonde Sour Ale. Homage Brewing – As mentioned in our tale of Cellador Ales, we have many sour homebrewers taking it to the next level at the pro level here in Southern California. A little over two years ago Matt Garcia, his wife Lauren and sour ale phenom Jeremiah came together to fill a void in the eastern side of L.A. County. Homage Brewing was born and serves the local Pomona community with modern style beers. From where I sit, the best beer Homage produces is their mixed fermentation saisons and barrel aged wild ales. They have had great success with Chat Fou, Wild Pink Robots and have often collaborated with Cellador Ales, mentioned above. 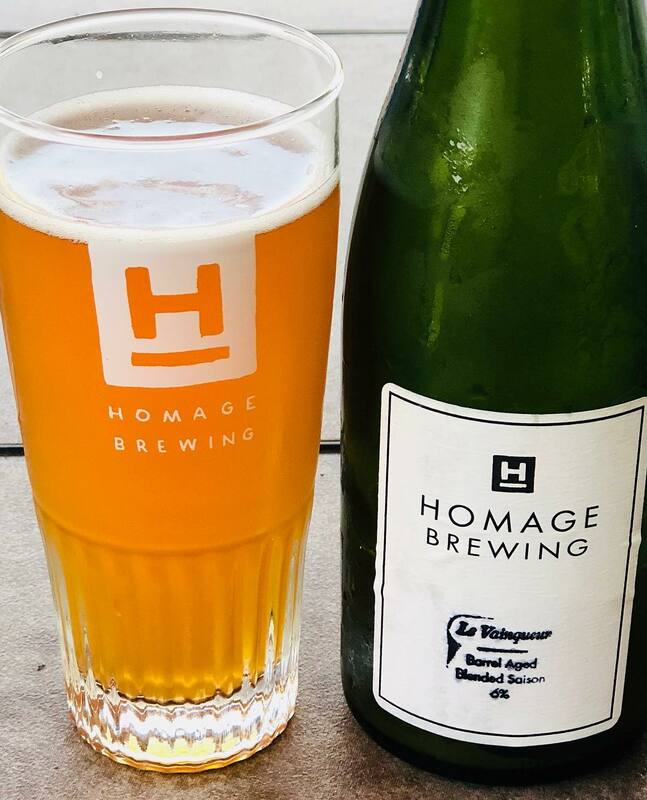 Rumor has it, there will be a second location for Homage near Downtown L.A.
Modern Times Beer – The fairly young brewery out of San Diego, and now L.A. and Portland, do a few things very well besides marketing. They make great hoppy ales, decadent strong ales, and under the radar awesome funky and sour beers. With a few years under their belt, Modern Times has nailed barrel aged sour and barrel aged fruited sour beers. 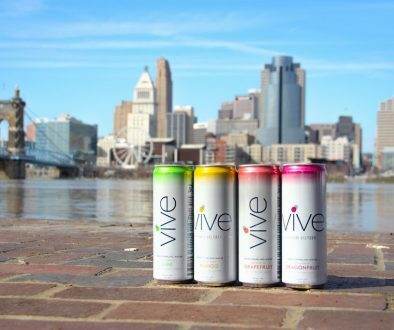 You can go to one of their locations to sample some, and if you subscribe to their email blast, you can reserve some bottles online. My personal favorite: Symmetric Orchestra and the various fruit treatments it has received. Monkish Brewing – When you think of Monkish, you think of cans of juicy double IPAs. 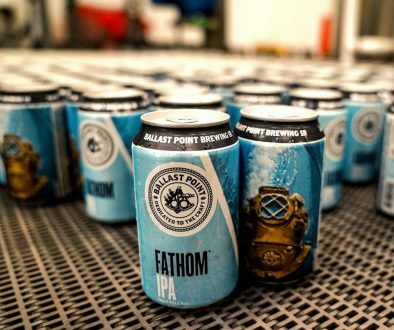 Yes, they are very good at making IPAs, however, the talent behind everyone’s favorite juice maker began brewing classic Belgian styles as well as amazing mixed fermentation saisons and barrel aged wild ales. If you stick around for more than a couple of four-packs, pop into the tasting room, and you will understand what I am talking about. There are always half a dozen funky, tart and sour beers on tap, and a few times a year Monkish does an online bottle sale of these puckering treats. 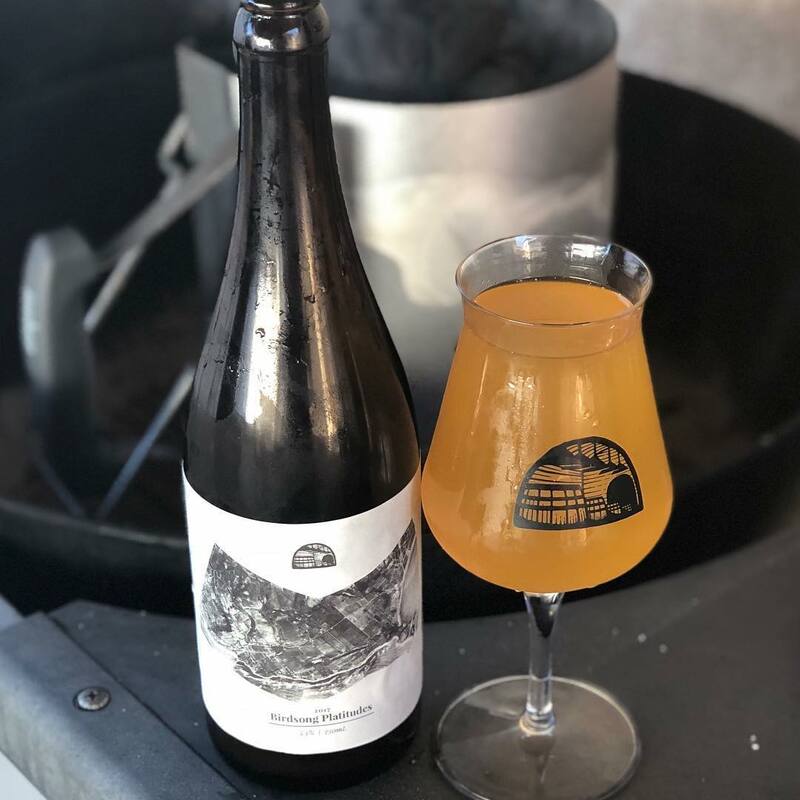 Russian River Brewing – You can’t have a best sour ale list without Russian River, who lead the charge in making beers that stand up to their Belgian counterparts. To be extra clear, the barrel aged sour ales that Russian River are world class and should be what a new brewer strives to achieve. Supplication, Beatification, Temptation, Consecration and Sanctification are all tied for best, depending on what mood you are in. Sante Adairius Rustic Ales – It’s usually very hard for me to pick a favorite, but I think Sante Adarius might be my favorite sour ale maker in the world. I don’t think anyone’s feelings will be hurt by this as most would agree. In six short years, they have modestly made some of the best mixed fermentation saisons and barrel aged sours, fruited and non-fruited. Each beer has the most perfect oak expression, and even the sour ales they do in stainless only have just the perfect balance of tartness, sweetness, bitterness and malt presence. 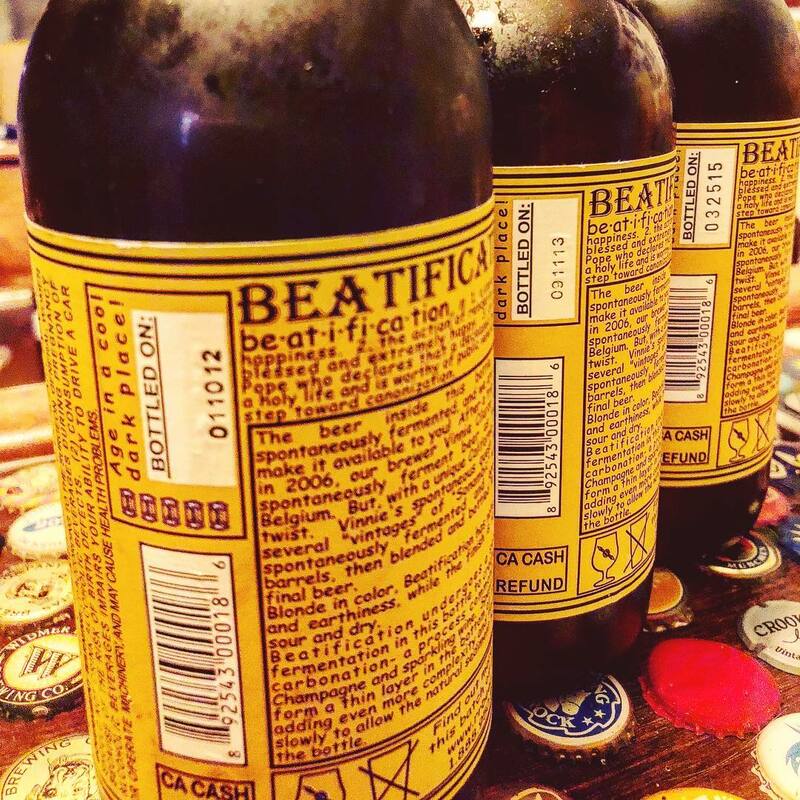 It’s not the easiest to obtain these beers even within California, unless you take a trip up the the Santa Cruz area where they are based out of. The Bruery Terreux – The Bruery spun off their sour and wild ale program a few years ago under the name Bruery Terreux as a way to not only differentiate their main brand that creates strong and experimental ales, but also as a way to keep the bugs out of the clean beer. 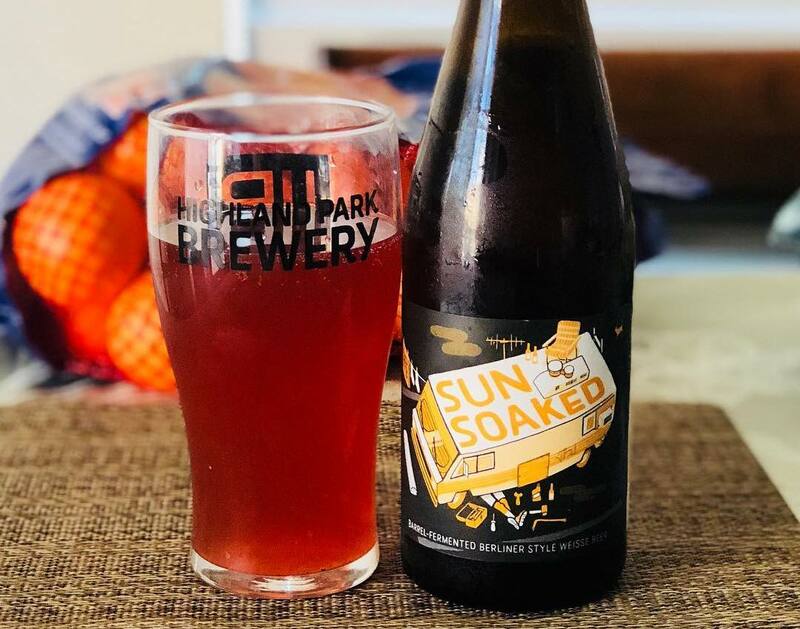 This ten-year-old oak based sour program has seen some very fantastic beers, whether it be their straight up blended Ruezue, their fruited Frucht series or their dessert-inspired beers like Beret, adding in some elements like spices and vanilla. With their recent expansion, you can stop in at their Orange County locations, their Washington DC locations or your local liquor store. The Lost Abbey – Lost Abbey has quite the barrel aged sour program with some fun and crazy history behind it. They built a legend around a beer nobody has tried called Yellow Bus, they’ve captivated an audience with the beer Cable Car, which can only be purchased for consumption at Toronado San Francisco and San Diego, they have the award winning Veritas series, which has seen many different renditions over the years, but they also have some delicious and obtainable sour ales as well that see distribution each year. Lost Abbey has made magic with Cuvee de Tomme, which is a strong dark sour ale that comes across very fruity, Framboise de Amorosa, a sour brown ale with tons of raspberries and a whole slew of one-off gems that have come and gone for their special events all around the country. If you are a sour fanatic, stop by San Diego’s best producer of this style. The Rare Barrel – Five years ago, The Rare Barrel entered the scene with huge fan fare in the Bay Area of San Francisco. With the word “Rare” in the name, it immediately generated buzz but also took these guys to task to live up to the name. Sure enough, they started with the typical membership club, in which California residents signed up for an allotment of special bottles released throughout the calendar year. Branding and buzz aside, the beers started out good and have continued to get exponentially better and more complex with each passing year. They have golden sours, dark sours, saisons, and each of those base sours get various oak and ingredient treatments. My favorites are any of the golden sours with fruit added. I go crazy over Home Sour Home, which is a golden sour with peaches, vanilla and cinnamon, to resemble a peach cobbler. Really anything they do with stone fruit is amazing. Societe Brewing – Societe Brewing is still the darling of San Diego beer, even after being open for six years now. They have a very straight forward lineup of Belgian Ales, American / Hoppy Ales, and finally after their first four years, their Feral Ales. After the long wait, Societe finally bottled what was resting in barrels for what seemed like forever. Some were expecting stuff on the extreme sour side based on the long wait, and were surprised by the delicate, complex tartness with none of the harshness some experience from a new sour program. They have just recently won gold at the 2018 World Beer Cup for The Thief, which is a wine barrel aged ale on grapes. While Societe bottles their sour ales, you should put them at the top of your San Diego beer tour list. Look out for Horus Aged Ales, Wild Barrel Brewing, Green Cheek Brewing, Faction Brewing and Yeast of Eden. They all have very new sour ale programs that have just launched or will be launching soon. Based on the talents involved, they will be added to this list in no time. Ok, good list overall but saying that American brewers have surpassed Belgian lambic producers is nonesence, no offence to our brewers who are indeed getting a lot better. Still a long ways to go to Cantillon and Drie Fonteinen. I will say that we have more diversity in the sour beer space, since we aren’t bound to traditions. Good Beer in Santa Ana has been very consistent in their production of sours. Recently the brewed a pastry sour that’s out of sight good. They also kill it on their IPA’s and NEIPA’s. Thanks for this list. Looks like I will be embarking on a quest to quench my thirst for sour beer! 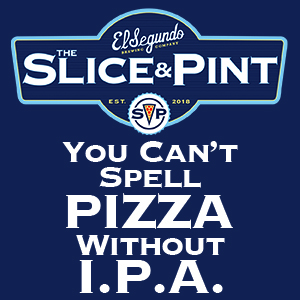 From my Yelp review –Additionally, one of my favorite sour microbreweries is in Rancho Cucamonga. Excellent selection, price, and service. If you like sours — or are curious — this is the place to wet your whistle. I had heard about this place from my brother, who lives in the area, and decided to give it a try. And boy, am I glad I did! Chinthya and Bryan Doty have crafted a modern tasting experience that combines a dozen different sours (with medieval names) with the décor of a Roaring 20’s speakeasy. Hermitage? Silver at GABF this year. Thanks for the article. Can’t wait to search some of these out.